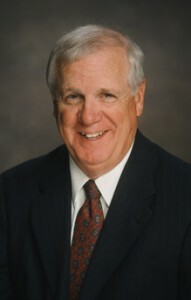 Tom Lantz has been a trial lawyer since 1972. He concentrates his practice in divorce and family law. Mr. Lantz also has extensive experience in personal injury, medical malpractice, and commercial litigation. He received his Doctorate of Jurisprudence from Indiana University School of Law in 1972 and was admitted to the Indiana Bar in 1972. He has represented clients in counties throughout Southern Indiana and accepts referrals from other lawyers. Mr. Lantz is actively involved in his community having served on several local boards. Former Chairman of the Board of the Community Foundation of Jackson County, former Chairman of the Board of the Seymour Chamber of Commerce, former Chairman of the Board of Seymour Industrial Corporation, former board member of the Indiana Pro Bono Commission, former board member of the Indiana Bar Foundation, and one of twelve persons responsible for drafting the state-wide Pro Bono Initiative which is the framework for Indiana Pro Bono throughout the State of Indiana. Mr. Lantz enjoys running, tennis, and his four grandchildren.